DECEMBER CELEBRATIONS at VIE Hotel Bangkok includes a Christmas Eve buffet dinner that features French-style roast turkey, a special wine-tasting corner along with carol singing and a complimentary set of Christmas gifts. These gifts include a live portrait drawing, a seven-day pass to work out at VIE Fit, valued at THB 7,000; a VIE Spa voucher worth BHT 500; and if you book in advance, a McGallery white tea aroma candle, valued at THB 550. 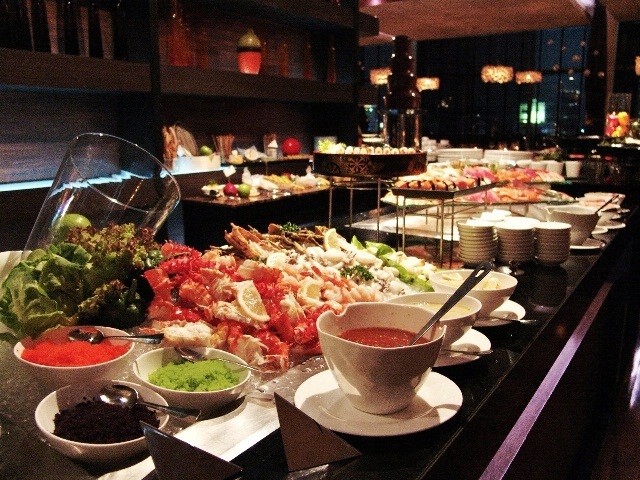 The dinner will be held at VIE Wine & Grill, located on the hotel’s 11th floor, from 6.30 p.m. to 10.30 p.m. on Dec. 24. The cost – BHT 1,750 per person and half price for children from six to 13. To bring in the New Year, there’s VIE Bangkok’s Glow-in-the-Dark New Year party, where you’ll be able to say goodbye to 2012 and welcome the New Year by releasing lighted balloons into the night sky at the stroke of midnight. Festivities get under way AT 6.30 p.m. with a buffet dinner, also at VIE Wine & Grill before the celebrations shift to the hotel’s roof top for the glow—in-the-dark party. Cost – THB 2,150 for dinner, which includes a glass of sparkling wine, plus another BHT 1,000 at the VIE pool party. This includes three glow-in-the-dark drinks.